• it is the only wellness book for the airline traveller that enables him/her to get fit and well within a very short time and without having to move or use any tools. • it enables you to apply the art of Jin Shin Jyutsu immediately and without any prior knowledge and is thus the perfect guide for anybody who simply wishes to experience the amazing effect of the simple finger positions. The idea for this book was born on an 18 hours flight back to Europe. As usual I was continuously applying the finger positions and was happy to be able to use this time for my personal wellness and wellbeing. It was funny to see how everybody else was getting tired of all the sitting and not being able to move, whereas by simply using my knowledge of the art of Jin Shin Jyutsu I was getting fitter and feeling better the longer the flight took. It was there, high above the Clouds, that I decided to make this knowledge available to all travellers, giving them the keys to use their spare time to get fit, well and radiant by simply using their fingers. “Wellness above the Clouds” is therefore perfectly suited for the airline travellers, enabling them not only to avoid common airline travel complaints, but also to get fit and radiant within a few minutes. However, you do not need to travel by plane to benefit from this amazing booklet. The simple exercises in “Wellness above the Clouds” are perfect if you need a quick energy boost and want to look your very best in a short time. By regularly applying the unobtrusive finger holds as shown in “Wellness above the Clouds” you will increase your health and physical appearance as well as harmonize your emotions and aid general wellbeing. 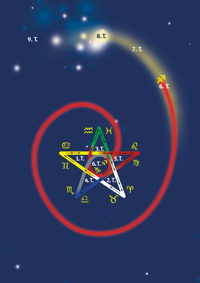 No prior experience is needed since the 22 programs shown in this booklet are so simple that everybody, even children, can employ the finger positions immediately and without any prior knowledge. 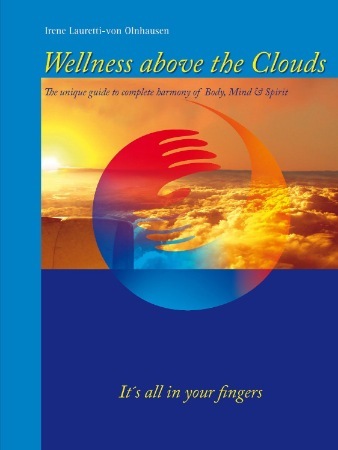 “Wellness above the Clouds” is available both as a printed book as well as a kindle version. To order go to the Amazon site of your country. Hello Irene, Thank you for your wonderful book, “Wellness Above the Clouds”. It was so pleasant to read and the color pictures really helped. Your book is perfect simplicity. I can’t express in words how much I appreciate your writing it. I got the ebook on Amazon.com. I recently came home from an 8700 miles airplane(s) trip from The Philippines. It took 39 hours. Oh, what a benefit your book would have been had I known about it. Now I do. God Bless you and all the Best to You. This review is from: Wellness Above the Clouds: The unique guide to complete harmony of Body, Mind and Spirit (Paperback) This book does not require you to know anything about Jin Shin Jyutsu or any other alternative healing techniques. It is simply a very easy to follow book full of straightforward exercies that you can use to aid relaxation on a plane (which is its main purpose) but it is so much more than that. You can basically do these exercises anywhere and so many of them would be great to do at your desk in the office if you are feeling stressed or unwell. The exercises cover a wide range of problems such as headaches, toothache, chest pains, stomach ache, poor circulation, as well as for destressing. The pictures make them very easy to follow so you know when you are doing them correctly. It is a great little book that you can carry around in your bag and then dig it out when you are stuck on a long train journey. Highly recommended! it helped me almost immediately when I’d been suffering from toothache. even if you don’t have any prior understanding of healing. Although it was aimed for people sat on airplanes, I’m always dipping into it and often do little bits of healing on myself whilst watching the telly. It’s definitely a book I would share with friends and family.